Importing Keepass database from dropbox is really easy, but for the first time you may get confused about it. In this post I will be showing you how to import keepass database (*.kdbx) from your dropbox account to your MiniKeepass app on iPhone. 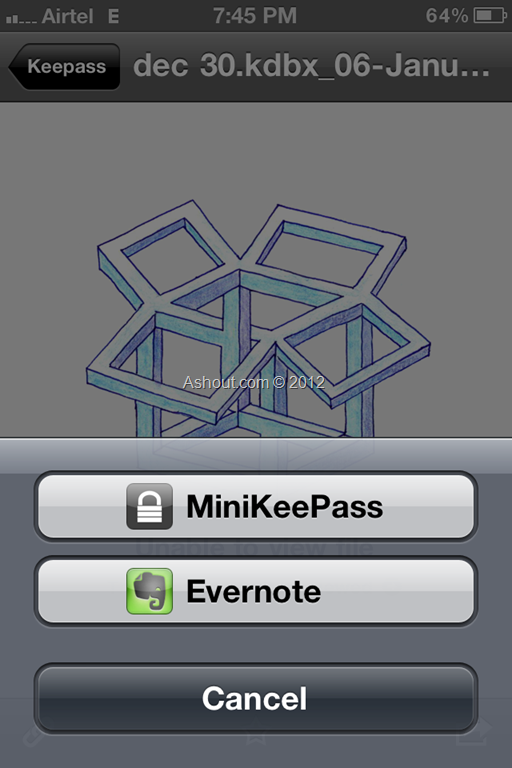 For importing database for minikeepass (iPhone version of keepass) from dropbox first you need two things. 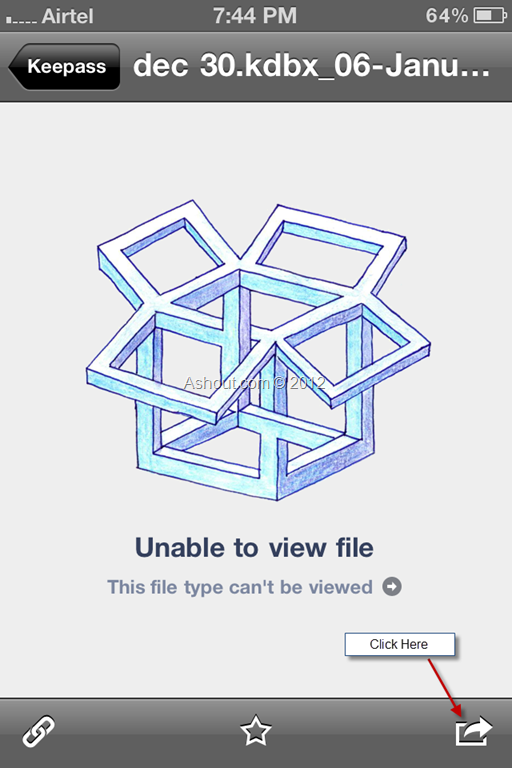 Whenever we saw that error message we thought that, it is not possible to open the keepass file in dropbox. But wait, there is one more option available below that error message. Just have a look on the “Right Side” below the error message, You will see some option like squarebox with an arrow, Click on that option. Now you will get MiniKeePass option,now select MiniKeepass option. After selecting this MiniKeepass option open MiniKeepass App. Now you will see the imported database, enter the password and start using it. Very helpful, but I had actually already been able to import the data base, what I can’t seem to accomplish, is making changes and then exporting the new data to DropBox. MiniKeePass keeps erasing my data and all my attempts have been failing. If you’re having success, could you please post, or email me, a procedure similar to the one above. Will try to post regarding this….. Anyone looking for a simpler solution should try RoboForm Everywhere. That’s cool tip. I have been using iKeePass (paid app). 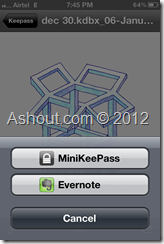 Minikeepass is something new to me. Just installed and found it pretty cool. It does have some intial bugs. Looking for fixes in upcoming versions.